A top-notch Emerald Coast escape, Gulf-front Dune Villas offers a choice of dazzling vacation villas in the heart of one of Florida’s most enchanting seaside holiday destinations. With an ideal location half-way between Panama City and Destin, this peaceful stretch of shoreline is still conveniently close to the excitement and attractions of more urban areas. These Destin vacation rentals offer one, two- or three-bedroom units in one of two contemporary three-story buildings, just steps from the eclectic shops and restaurants of Seagrove village. This beautifully maintained community boasts private beach access and is also located within walking distance of Seagrove/Walton’s gorgeous white sandy beaches. Beautifully appointed one-, two- or three-bedroom units in this pretty hillside Gulf-front complex offer the best of contemporary amenities along with plenty of room for outdoor living. One-bedroom units occupy the ground floor and feature airy patios overlooking the pool or the sea, while most 1700 square foot town houses occupy the third and fourth floors, taking advantage of breathtaking Gulf views. After a day on the sweeping white sands of Walton’s acclaimed beaches, whip up a meal in your fully equipped kitchen or wander down the street to take advantage of Seagrove’s eclectic eateries. Spacious living and dining areas, roomy bedrooms and multiple baths make this the ideal beachfront home-away-from-home in the heart of one of the Sunshine State’s most beloved seaside escapes. These Destin vacation rentals are nestled in the heart of Seagrove, one of the Emerald Coast’s most charming little seaside towns, where tree-line streets bustle with quaint shops and family-friendly activities. The lovely white sand Seagrove beach stretches for a mile and a half encircling a small, peaceful cove surrounded by verdant oaks, magnolias, hickories and sand pines. The village of Seagrove itself lures visitors with its charming mix of old beach cottages and newer condominium communities. Sample the eclectic mix of beach shops and eateries along Scenic Highway 30A or put on your hiking boots or rent a mountain bike or kayak and explore the gorgeous forests and waterways of Point Washington State Forest. Dune Villas offer a lot of little extras designed to make your shoreline escape even more delightful. Enjoy varying in-unit amenities including Jacuzzi tub, breakfast bar, washer/dryer and Wi-Fi access. A lushly landscaped outdoor pool overlooks the beach and emerald Gulf waters. Rent bikes and use them as transport to local attractions, shops, beaches and pretty nearby neighborhoods including Alys Beach, Rosemary Beach, and Seaside, recently voted one of USA Today’s Top 10 Best Beach Towns in Florida. Outdoor recreation enthusiasts love Dune Villas with its convenient proximity to sand, sea and nature. Enjoy water sports galore, pirate cruises, scuba diving, snorkeling, paddle boarding and anything you can do on around the water. Nicknamed the World’s Luckiest Fishing Village, Destin is an angler’s delight with several fishing piers and plentiful offshore charters. On land, you’ll find top-notch golf courses galore along with some twenty-six miles of coastal bike paths. 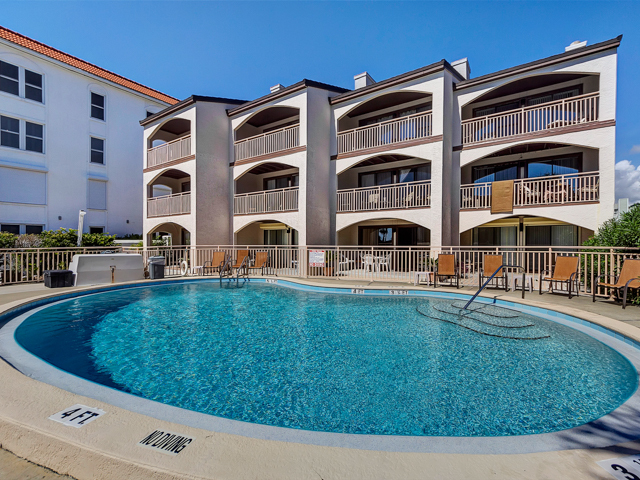 If you’re looking for other 30A rentals, check us out here.